A graduate of UC Berkeley and UCLA (Master of Social Welfare), I worked as a psychiatric social worker with children and families in Los Angeles. As our own family grew, I enjoyed being a stay-at-home mom and became very involved as a PTA volunteer in developing and raising funding for arts education programs. For a short time, I worked for The Institute for Arts Education here in the San Diego area. As a District library technician for 14 years, my personal goal has been to use the library to support and enhance the educational objectives of teachers and the District. I’ve had the privilege of working on a number of Educational Foundation grants at La Presa Elementary, La Mesa Dale, and Casa de Oro. The majority of these projects have focused on arts education, nutrition, literacy, and celebrating the unique and exciting diversity of our school communities. In 2016, graphic novelist, cartoonist, and teacher, Gene Yang, was appointed the National Ambassador of Young People’s Literature. He chose his platform, “Reading Without Walls,” (Yang, 2016) to challenge America’s youth to read a book about a character that did not look or live like the reader themselves, a book about a topic that the reader knew nothing about, or a book in a format that the reader normally did not read. Casa de Oro students, third through sixth graders, will be invited to participate in this challenge. The project goal is to explore whether or not participation in the project will lead to more diverse reading interests among our students. Currently, Casa de Oro’s school population is comprised of African American (14.9%), Asian Pacific Islander (4.3%), Hispanic (55.4%), Middle Eastern (5.4%), Mixed (7.6%), and White (12.4%). Given such a diverse population, it is crucial that we provide our students with opportunities that will promote understanding and acceptance for others in order to build community. 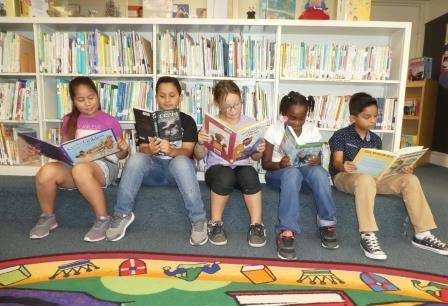 Secondly, like other elementary age students, our Casa de Oro students have definite preferences for certain types of books to the extent that some students will only read particular genres or authors. For all students, but especially these highly selective ones, this project will be a fun and meaningful way to expand their reading horizons. Finally and equally important, it is imperative that we develop innovative and creative reading programs to complement classroom learning and motivate our students to become better readers. Recent scores showed that only 53% of our Casa de Oro students, grades 3 through 6, have met the California Standards for reading. This project will help me, a practitioner researcher, to provide evidence whether or not Reading Without Walls is effective in fostering diverse reading interests in our Casa de Oro students. “To build a foundation for college and career readiness, students must read widely and deeply from among a broad range of high-quality, increasingly challenging literary and informational texts.” (“Common Core,” n.d.) It should not be surprising that given the critical importance of building strong literacy skills in children and the adoption of the Common Core State Standards in 2010, numerous studies have explored varied facets of literacy. The Reading Without Walls project challenges students to read a book about a character that does not look or live like the students, a book about a topic that students know nothing about, or a book in a format that students normally do not read. Therefore, for the purposes of this grant, the research of two literacy areas was briefly reviewed: (a) the reading interests of today’s American children and (b) the importance of diversity in library collections for children. In 2016, Scholastic, in conjunction with YouGov, conducted its biannual reading survey. Over 2,700 children and parents throughout the United States participated. Amongst its many findings: 89% of children ages 6 – 17 agree that their favorite books are the ones they have picked out for themselves; children like books that make them laugh with characters who are “smart, brave, or strong” or who “face a challenge and overcome it” (Scholastic & YouGov, 2016). Davila and Patrick (2010) found that girls like funny, scary, adventure-based fiction as much as boys and also prefer genres such as romance, realistic fiction, and poetry. Boys are more likely to read informational materials about dinosaurs, snakes, videogames, sports, cars, and trucks. In terms of genres, boys are more likely to read fantasy, horror, science fiction, crime/detective stories, and war fiction. They also have a stronger preference for comics, graphic novels, joke books, and the “gory & gross” genre of which Captain Underpants is a prime example. Boys tend to choose books for information and for entertainment, not for story or literary quality. Indeed, several favorite series of boys are banned from many school libraries (Boltz, 2007). At the same time, a growing body of research has highlighted the importance of diversity in children’s literataure. Almost thirty years ago, Bishop (1990) coined the metaphor “mirrors, windows, and sliding glass doors.” Bishop described books as mirrors in which readers can see themselves and as windows offering views of different worlds. The windows become sliding glass doors through which readers can enter a new world. Bishop stated that children need such books that can help them understand the multicultural nature of the world. Bishop (1994) also edited a book on a multicultural booklikst for Grades K-8. In their article, “How Common Core’s recommended books fail children of color,” Gangi and Benfer (2014) employed Bishop’s metaphor of “mirror” and “window” books, emphasizing the need for all children to have access to both. Their research indicated that when children have access to books that are primarily written by and about white people, it is white children that have a much easier time making connections to themselves and their community. These experiences, in turn, help them to become more competent readers. At the same time, “window books” allow children of the dominant culture to see others who look different and live differently (Gangi & Benfer, 2014). Indeed, diverse library materials allow children to develop an appreciation for the cultures of others (Naidoo, 2014). Writing about the Common Core State Standards and diversity, Fenice B. Boyd (2013) stated that children who do not see characters like themselves in the books they read believe they are not worthy of appearing in books. Simultaneously, children who read books with characters like themselves will conclude about their classmates who are not represented in stories that those who are different are not worth writing about. These literatures point to the importance of diversity in children’s readings and support the significance of Yang’s Reading Without Walls, especially given the demographics of our school. As primary school educators, our role is to build in our students a strong foundation of literacy skills. Our challenge is to not only nurture a life-long love for reading but also help students experience and understand books that introduce them to new ideas and diverse people. The Reading Without Walls project will address these needs. As Yang explained, “Reading is a fantastic way to open your minds and hearts to new people, places, and ideas” (Library of Congress, 2017). At the same time, our project will support students to build early positive reading habits needed for college and career readiness. As of September 2018, there are 51 third grade students (24 boys; 27 girls), 35 fourth graders (20 boys; 15 girls), 39 fifth graders (21 boys; 18 girls), and 30 sixth graders (20 boys; 10 girls). These 155 students include: African American (17.4%), Asian Pacific Islander (4.5%), Hispanic (60.6%), Middle Eastern (4.5%), and White (12.9%). A collection of new books will first be ordered to add to our limited collection. New books will include the following: biographies of John Lewis, Jose Guadalupe Posada, and Katherine Johnson; STEM titles about coding, architecture, robots, and math; historical fiction, mysteries, graphic novels, and other genres. Numerous studies have concluded that reading attitudes are greatly affected by whether or not the range of options is limited or expanded. Not finding books that are of interest is directly related to how frequently children read (Patrick, 2010). Due to limited funding, our school library collection, especially the nonfiction, has become very outdated. For example, the average copyright dates are 1998 and 1994 for our dinosaur books and technology books, respectively. By providing our students with exciting and new options, the likelihood of students participating will be greater. Once the project has been introduced and students have completed the initial surveys (see below Data Collection), new books will be introduced and made available for students to check out when they come for their weekly library visits. Students may select from new titles or our current collection. If the selected book meets the Reading Without Walls (RWW) criteria, a RWW sticker will be placed on the cover. Books will be scanned with the usual one-week checkout period which may be extended, if so desired. Upon their return, books will be scanned back in. If students are having difficulty finding a book of interest that meets the project guidelines, they will be encouraged to return at recess time for additional assistance. Project guidelines include reading a book about a character that does not look or live like the student who is borrowing the book, reading a book about a topic that the student does not know much about, and reading a book in a format that the student does not normally read. After returning their selected books, students will be asked to fill out a simple book review and a post-project survey (see below Data Collection). A guest author will also be invited early in the program to meet with all our upper grade students. Dr. Virginia Loh-Hagen, local author and a professor of San Diego State University, has been contacted about this grant project and has expressed great interest in speaking with our students. 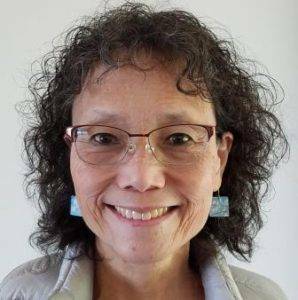 She is a fun, exciting, dynamic presenter whose expertise in multicultural education and literacy is well suited to complement our Reading Without Walls project. Her presentation will be designed to motivate our students to choose not just one, but several books that meet the parameters of our project. Students will also have the opportunity to ask Dr. Loh questions about her experiences as an author. All participants will be awarded a certificate of recognition at the end of the school year. What kinds of books do you like to read? Funny, scary, animal, realistic fiction, fantasy, historical fiction, informational, graphic novel (comic), or other? Do you like to try books that are different from the ones you usually choose? Why or why not? This survey can be filled out either in the school library or classroom. Students will be asked to fill out a book review and a post-project survey once they have completed their selected books. What is the title and genre of the book that you read? What did you know about the topic before reading the book? How is this book different from books that you usually read? Did you like the book and why? Do you think you will continue to read different kinds of books and why? Ten students from each grade will be randomly selected for an interview. Students will answer the above questions and will be encouraged to elaborate. The narrative data will be typed verbatim and analyzed by eliciting the patterns across all students’ response to questions. All data will be kept confidential and the results of the study will focus on a pattern found in the group of students, not about individual students. While reading one book that meets the Reading Without Walls guidelines qualifies as participation, students will be encouraged to continue participating through the remainder of the school year. We anticipate that a majority of students will enjoy participating in the project at least once. With the infusion of new books, the excitement of the presentation by a guest author, and the enthusiasm and support of teachers and school librarian, students will be able to find something meaningful that is outside of their usual choices. This experience will open the door for students to develop and appreciate more diverse reading habits. Bishop, R. S. (1990). Mirrors, Windows, and Sliding Glass Doors. Perspectives: Choosing the Using Books for the Classroom. Bishop, R. S. (Ed.). (1994). Kaleidoscope: A multicultural booklist for grades K–8. Urbana, IL: National Council of Teachers of English. Boltz, R. H. (2007). What We Want: Boys and Girls Talk about Reading. School Library Media Research. Patrick, D. D. (2010, January). Asking the Experts: What Children Have to Say about Their Reading Preferences. Language Arts, Volume 87, No. 3, pp. 199 – 210. Scholastic & YouGov. (2016). Kids & Family Reading Report, 6th Edition. Scholastic Inc.